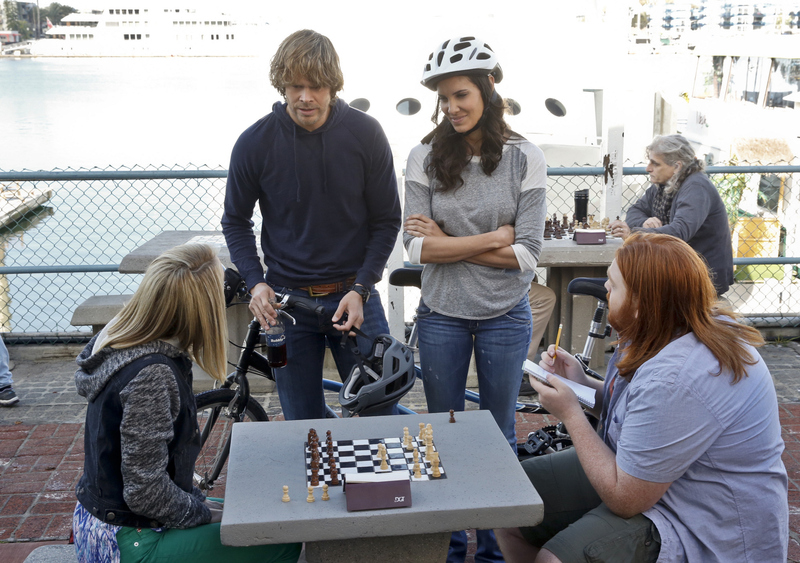 Pictured: Becca Tobin (Blaze Talcott), Eric Christian Olsen (LAPD Liaison Marty Deeks), Daniela Ruah (Special Agent Kensi Blye) and Jack Foley (Josh Pettiford). When a missile test is hijacked and sent off course, the team searches for the hacking group responsible for the attack with the help of a young computer specialist Hetty brings in to assist the team. Also, Nell sees the bond between the tech guru and Eric and she becomes jealous, on NCIS: LOS ANGELES, Monday, March 30 (10:00-11:00 PM, ET/PT) on the CBS Television Network. Photo: Monty Brinton/CBS ©2015 CBS Broadcasting, Inc. All Rights Reserved.